The New West End Company represents businesses in the central shopping district of London and aims to enhance the retail experience for visitors. 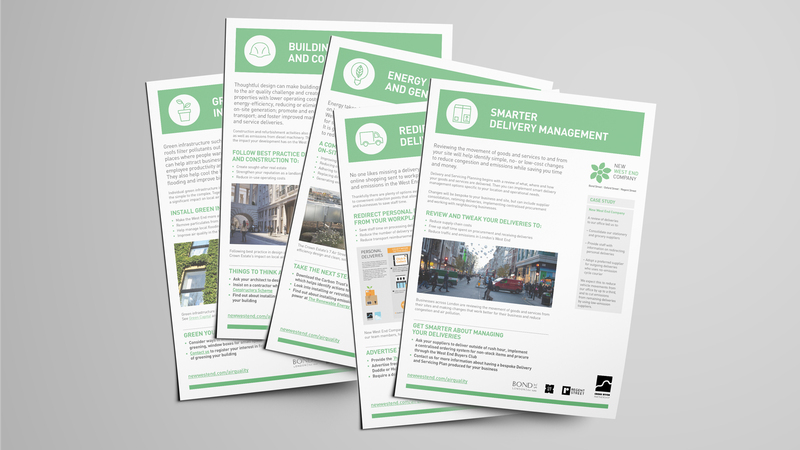 Faced with the heavy levels of air pollution around Oxford Street, Regent Street and Bond Street, the Company knew it was time to help business address the issue by adopting more environmentally friendly policies and actions. The New West End Company Company was seeking to encourage business to take responsibility for air quality. 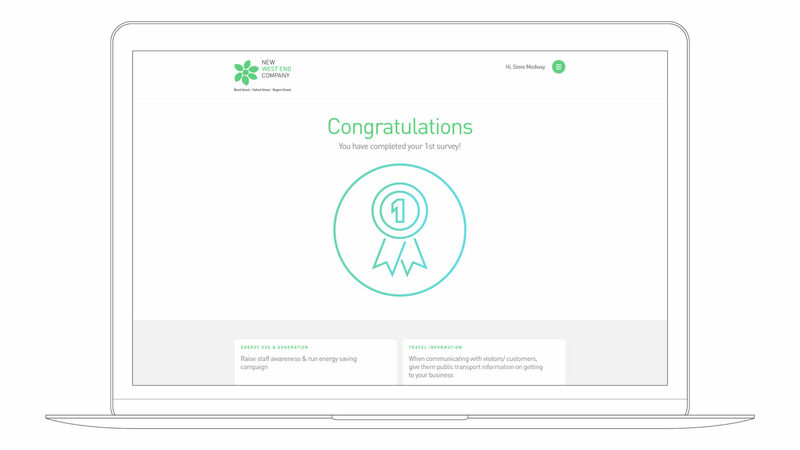 The portal can provide data and feedback online, demonstrating how companies can reduce their environmental footprint, and be awarded for their positive actions and improvements. The project aim was ‘to develop a business assessment tool to enable businesses to assess their current position; identify areas for improvement; and report back on their progress’. 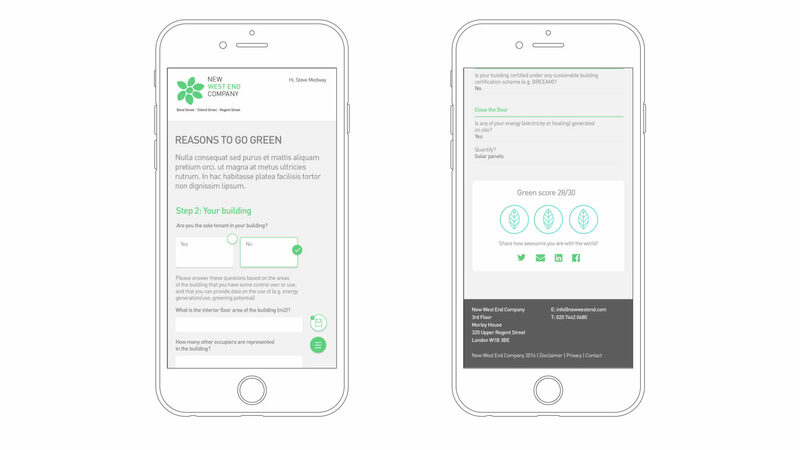 Clarity and simplicity were identified as critical in the design brief, so we developed the portal in a way that it made it easy for businesses to sign up to reporting on their environmental performance. 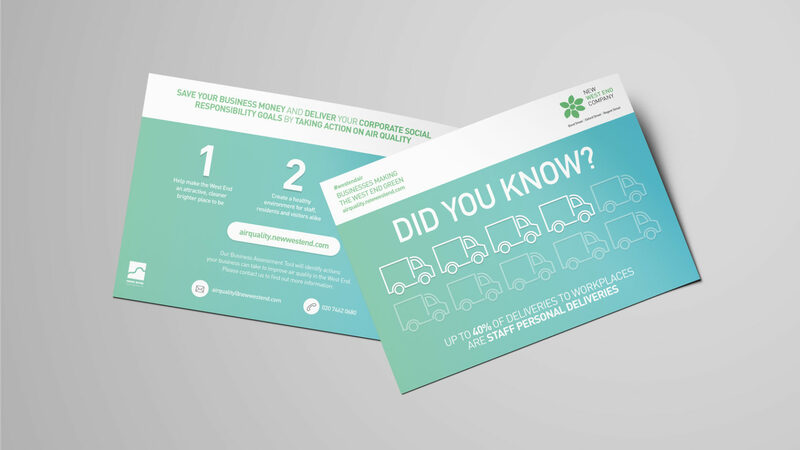 By creating a clean-cut and user-friendly format, the site design encourages the necessary interaction from local businesses, many of whom have to manage complex issues relating to waste management and vehicle deliveries. The project was managed by the Cross River Partnership on behalf of the New West End Company, with whom we liaised closely throughout. Close attention was given to ways in which information could be communicated and data collected online by the participating businesses. New West End Company launches the first ever member-led air quality strategy to make the West End an even more pleasant place to visit and work.